Oliver Twist is a poor orphan in a cruel society. Maltreated from birth, he escapes only to become an accidental member of a gang of pickpockets and robbers. Briefly rescued, he is then kidnapped as part of a plot to defraud him of his inheritance, and his prospects seem as bleak as his surroundings. But one member of the gang won't let hope die - whatever the cost. 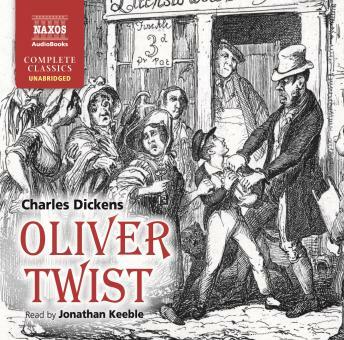 Charles Dickens transformed this dark fable on the Poor Laws into one of the bestloved books in English, filling it with brilliant characters (Fagin, the Artful Dodger, Mr Bumble), scathing humour and an optimism that touches even its darkest moments.